This home has all the amenities anyone would want. 3 bedrooms and 2 full baths, living room, family room with a wood burning fireplace. It includes reverse osmosis water system, kitchen cabinets are self closing. new vinyl windows, laminate floors, walk in closet in the master bedroom. The home also has a thermostatically controlled attic fan. Home has a 2 car garage with an expanded driveway. Two small sheds and one shed has power. A fire pit in the fenced in back yard. There is also a fountain for your enjoyment. The backyard has a drainage system that will not allow water to stand in the backyard. 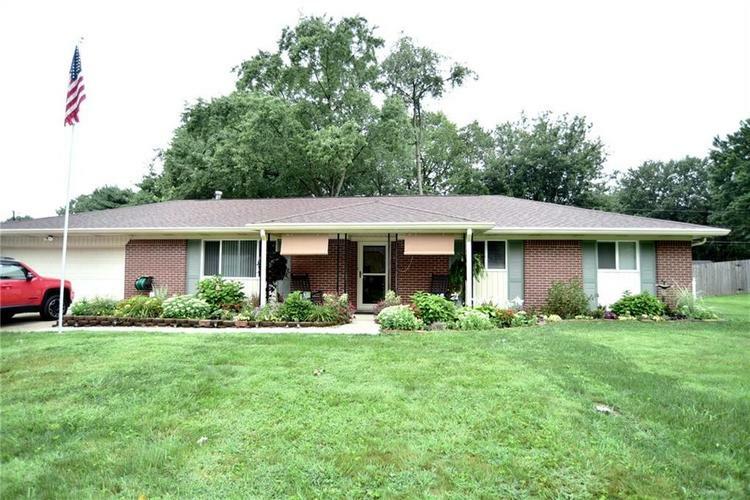 This home has been landscaped and the plants and flowers well all come up year and year. Directions:North of US 136. on Tansel Rd go east on Thorncrest, which is the first street after the railroad tracks, until it T's which is Woodale, turn left at the T to home on the left .